Apple had quietly added vibration to the fourth-generation iPod touch, while promotional materials for the media player on the company's website incorrectly show Phone and Messages applications. Though it was not mentioned last week by Apple, the new iPod touch includes a motor for vibration, much like the one found in the iPhone. While the vibrate feature can be used to alert a user of a call when the phone is placed on silent, it has also become an important feature in games. 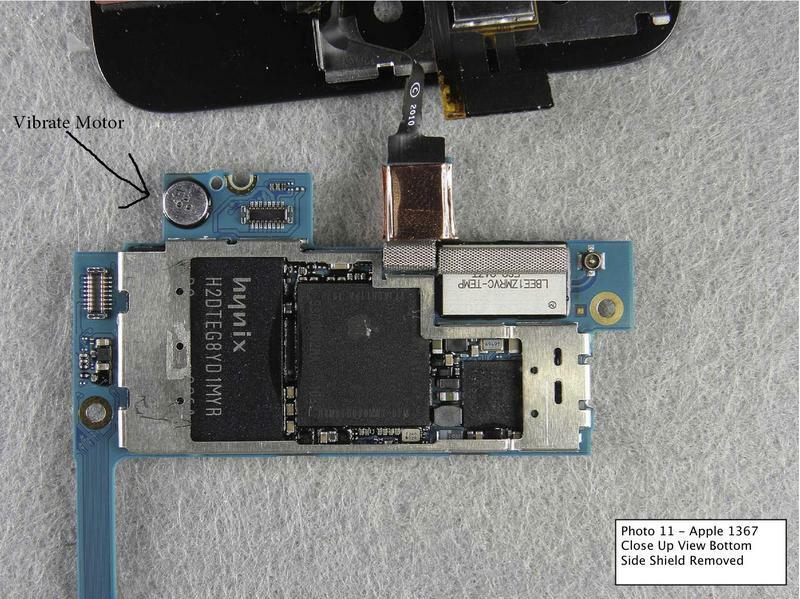 Now, as revealed in the FCC teardown of the fourth-generation iPod touch, the new device, Apple has added vibration to the new device. Multi-Touch Fans noted that the motor is similar to one found in phones made by Samsung, and said that it "isn't the most aggressive, although definitely isn't terrible." In addition, the accessibility page for the iPod touch on Apple's site notes that the new hardware has the ability to vibrate, but notes only that it is used for an alert for FaceTime calls. "If somebody wants to start a video call with you, you'll receive an invitation —along with a vibrating alert —on your iPod touch asking you to join," the page reads. 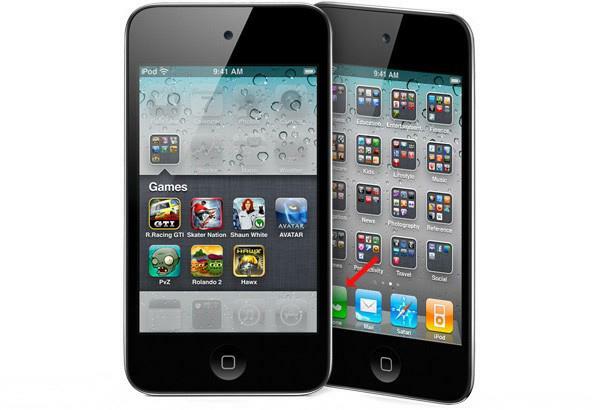 Promotional materials for the iPod touch on Apple's site incorrectly show icons that aren't included with the media player and are only found on its counterpart, the iPhone. 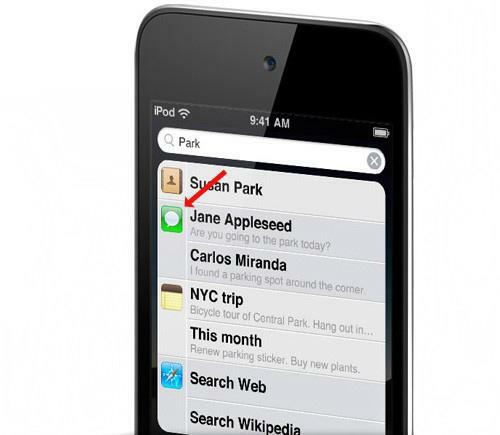 As discovered by Engadget, the doctored pictures on Apple's site show phone-only applications on the iPod touch. In one screenshot, the iPhone's "Phone" application rests in the dock in the bottom left corner. And in another promotional photo, a Spotlight search has returned results that include an MMS in the iPhone's "Messages" application. This isn't the first time this year that material on Apple's website has incorrectly shown features that do not exist on an iOS device. In January, after it introduced the iPad, Apple displayed content running in Adobe Flash loading on the site. The iPad —along with the iPhone and iPod touch —cannot display Flash content. In response, Apple quickly removed photos that displayed Adobe Flash content on the iPad.